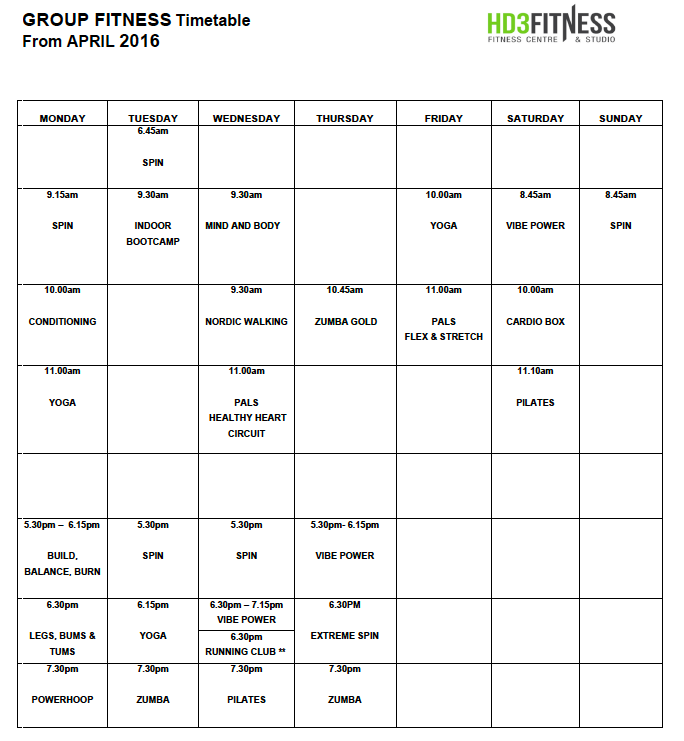 The current timetable and a list of classes usually available can be found below. However, please check (as there may be new additions) and book with reception or on-line if you are already a member. 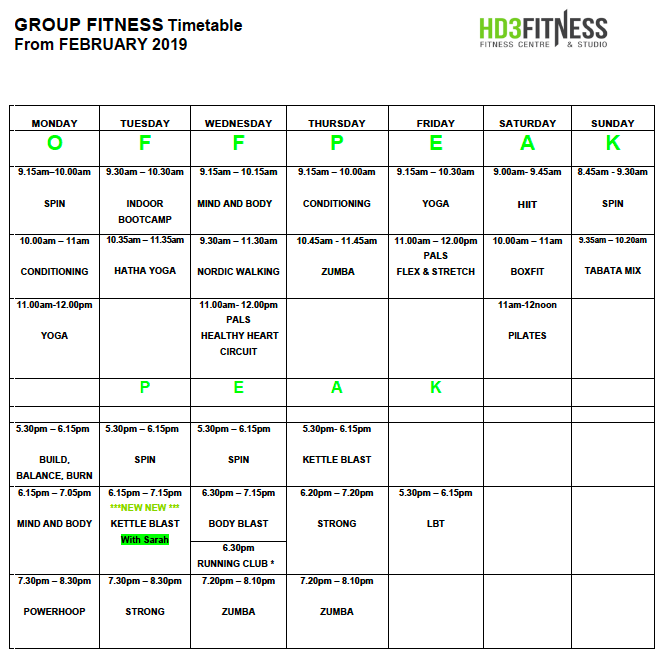 Note: All the Group Fitness Exercise classes are free to peak members. Guests and visitors can join in any of the classes for £5 per class or £40 for 10 classes.